I love birds in the spring. I love them nesting nearby and I love hearing them sing in the morning. 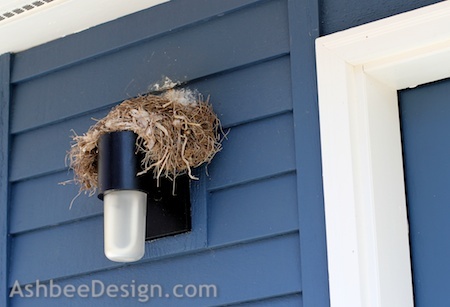 What I don't love is having them nest on the exterior lights of our home and studio - and they do - every year. This is the robin's nest on the back light of the studio from last year. A robin will move in shortly if I don't dissuade her now. They leave an exceptionally unsightly mess behind. Sometimes it dribbles down the siding as well. I can't bring myself to knock down a nest that is ready for eggs. The mother in me dictates that if the nest gets made, it is home for the season. 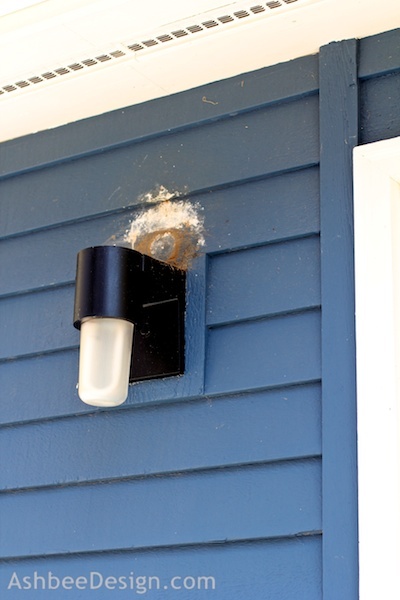 I need to prevent the birds from choosing our lights as home. 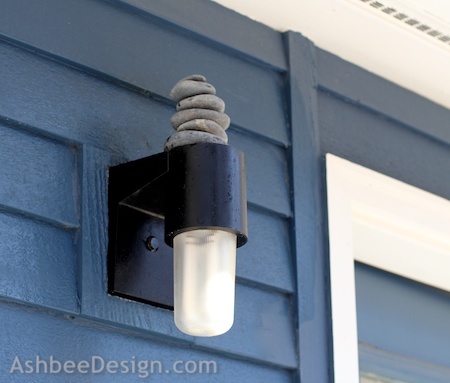 Last year I tried a solution on one light (blogged about it here) and it was successful. Today, I repeated it for others. 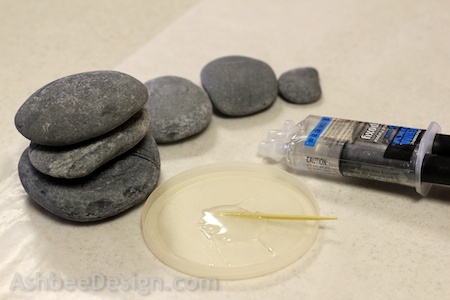 I create little Zen Stone Towers by gluing smooth rocks together using 5 minute epoxy. I collect smooth stones whenever I visit a beach. Don't you? Now, perched on these poorly designed lights is a new finial. A little funky and hopefully effective! My supply of small stones was limited. I generally prefer a stack with a bigger gradation in size. I guess another visit to the beach is in order! 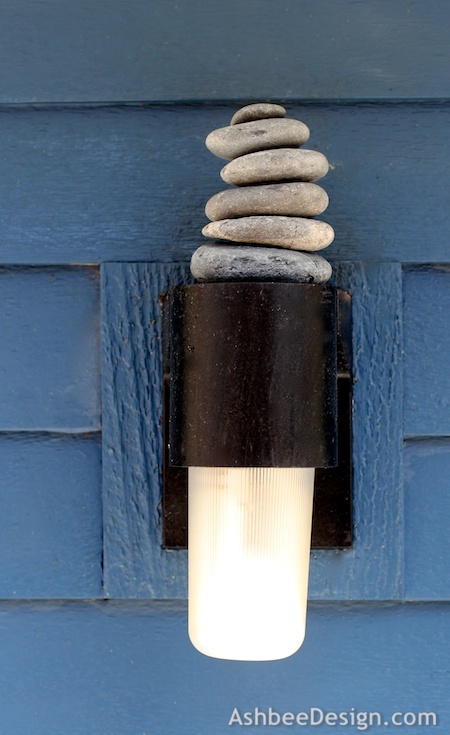 Do you have a similar problem and have you found a different solution other than replacing fixtures with a better design?